PreviousPrevious post:Happy New Year!NextNext post:L’Atelier Alain Ellouz guesting by David Morris! 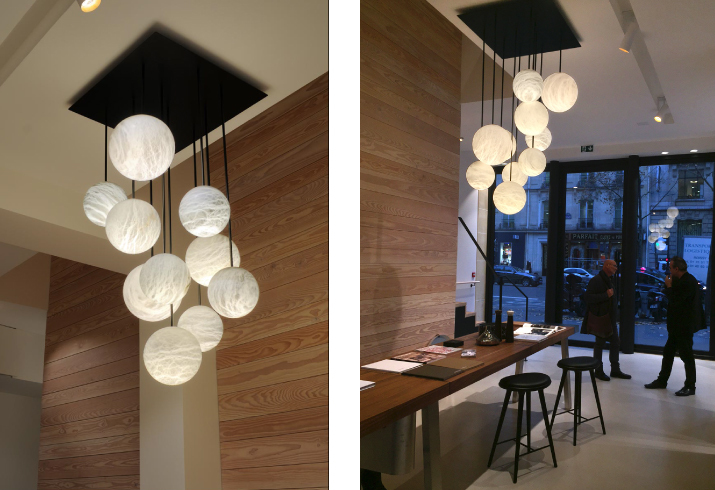 The new Bulthaup Haussmann showroom of Philippe Marcille welcome visitors with a chandelier from AAE collection. An exceptional place near Printemps Haussmann. The visit of the beautiful “haut de gamme” kitchen is a true experience of senses stimulation. Harmony chandelier’s spheres are magnificiated by precious materials like light coloured wood and glass which form an esthetic alliance.